About a month ago, the Global Poker Index (GPI) signed a partnership agreement with the World Series Of Poker to establish its WSOP Player of The Year ranking. Taking into consideration in this freshly-mounted list are game results of poker players from the 74 events that made up the World Series of Poker (WSOP) schedule this year, along with those from the WSOP Europe and Berlin. So far, verdicts from 41 poker tournaments of the 2015 WSOP schedule are now in, showing Paul Volpe on top of the WSOP Player of The Years leaderboard. 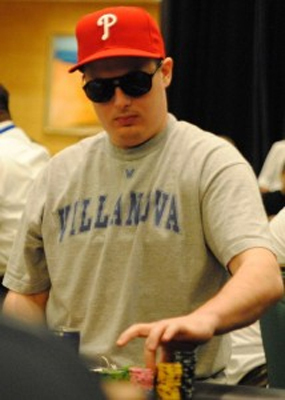 Volpe actually owes his lead to his impressive performance in the Event # 37, $ 10,000 buy-in NLHE Six-Handed. He grabs 1,631.59 points. Apart from that, Volpe has currently claimed 5 ITM places, including 2 runner-up finishes. Phil Galfond secures 2nd position in the standing. He earns 1,305, 10 points. His victory in the event # 29, along with his 4 ITM places allowed Galfond to temporarily appear on the podium. Mark Radoja rounds out the Top 3 thanks to his 8 ITM place finishes. As for Max Pescatori and Brian Hastings, they are respectively ranked 4th and 5th. Both men won two big events each, with more than 4 In The Money finishes respectively. And they have great chance to claim more wins in the coming days. Ranked in the 6th position is a representative from France: Olivier Busquet. Busquet finished 3rd-place in the No-Limit Hold'em Millionaire Maker. Completing the Top 10 are Mike Gorodinsky, Thomas Butzhammer, Byron Kaverman and Eric Wasserson. Obvious as it is, the current ranking will surely undergo significant change in the next couple of days.